Do you know what's ironic? 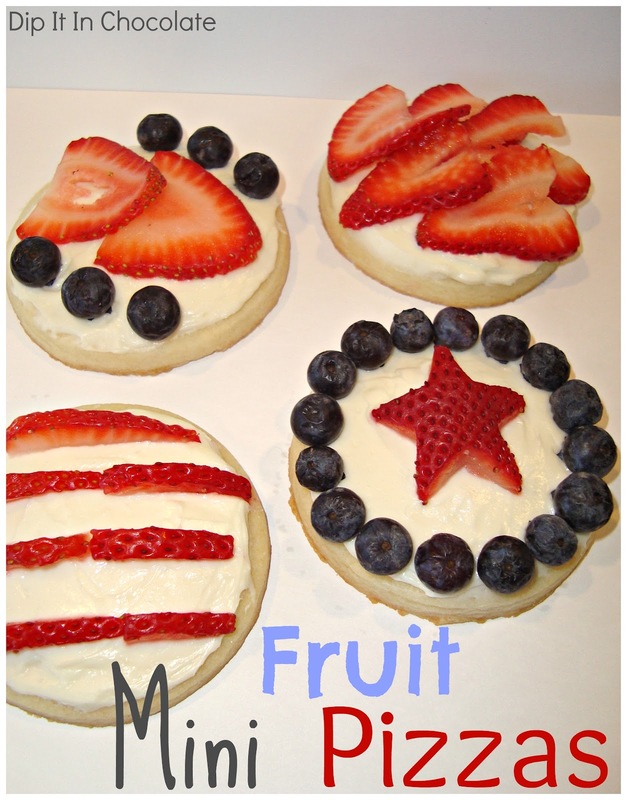 Making patriotic treats for the entire month of June and then not having the slightest clue what to make for the actual 4th of July. Apple pie? Hand-dipped ice cream cones? Red white and blue cheesecake parfaits? Strawberry ice cream? There's too many choices! Maybe we'll just go to Chuck-a-Rama. In other news, my parents are back in their house after the wildfire and it is completely undamaged and un-looted. They are feeling very blessed! Thank you for your thoughts and prayers for them and the firefighters. Recently I have seen so many variations of fruit pizza on Pinterest and it reminded me I've never posted my fruit pizza recipe. It is a favorite for Valentine's day and summer dessert around here. The best part is you can make the crust/cookies in advance and it takes all of 10 minutes to put together day-of. To do something different, I thought I'd make these minis so they are easy for single-serving. (Plus then you don't ruin the pretty picture by slicing it up.) Also fruit is healthy so you can eat these for breakfast. The bad news for me is we've already demolished all of ours so we can't eat them tomorrow. Bummm-er. Hope everyone has a lovely Fourth of July this year. Have fun celebrating with family and friends and honoring this wonderful country & those who died to create it. 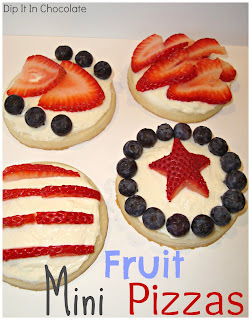 Don't forget to eat lots of red, white, and blue treats and reenact the American Revolution. Wait, your family doesn't do that?